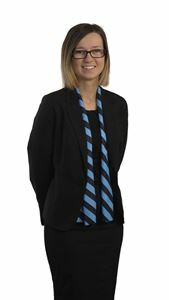 Veronika began her Real Estate career at Harcourts North Geelong as an Assistant Property Manager after many years of experience in retail and customer service. Going from strength to strength Veronika advanced to a Property Manager role in a short time, where her professional strengths and personal skills raised the bar in Property Management operations.Veronika has proven to be invaluable in this business, as she is meticulous, thorough, proficient and delightful with clients and the Harcourts team alike. After taking a year of maternity leave, Veronika has returned to Harcourts North Geelong in a part time role as our Leasing Consutant. In her spare time, she enjoys spending time with family and friends, traveling and trying new things.